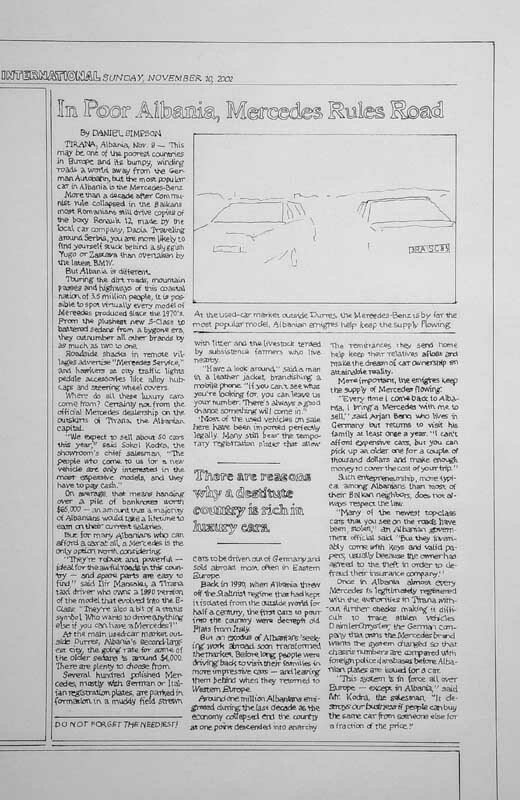 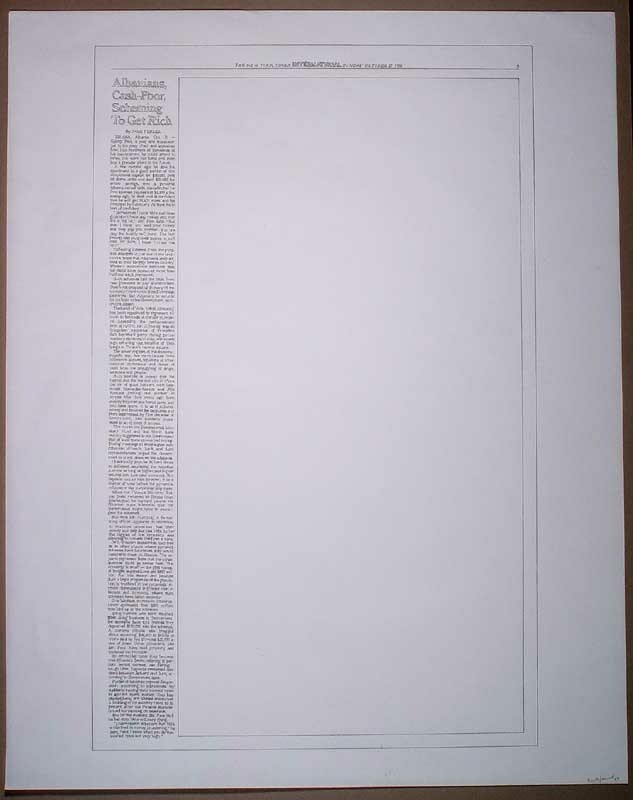 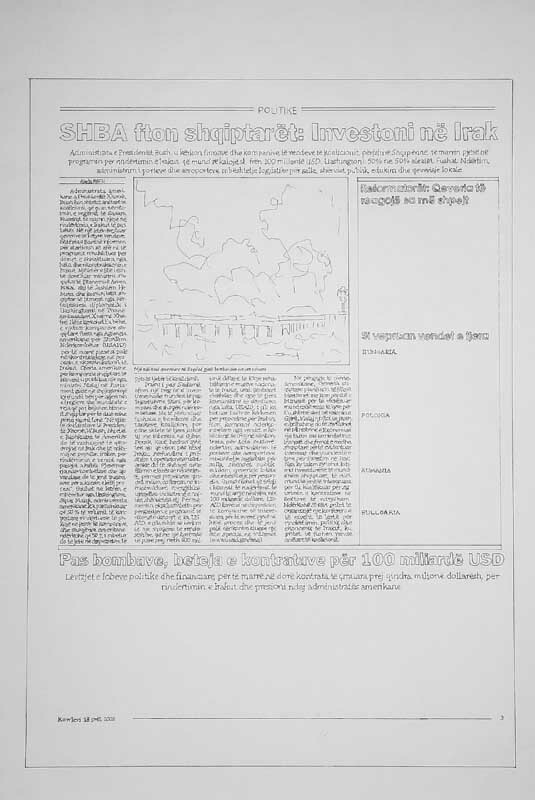 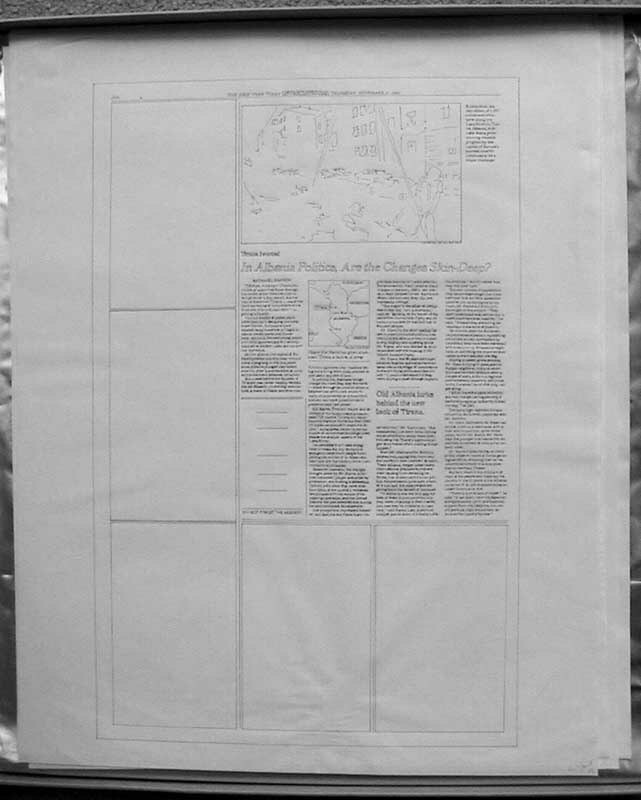 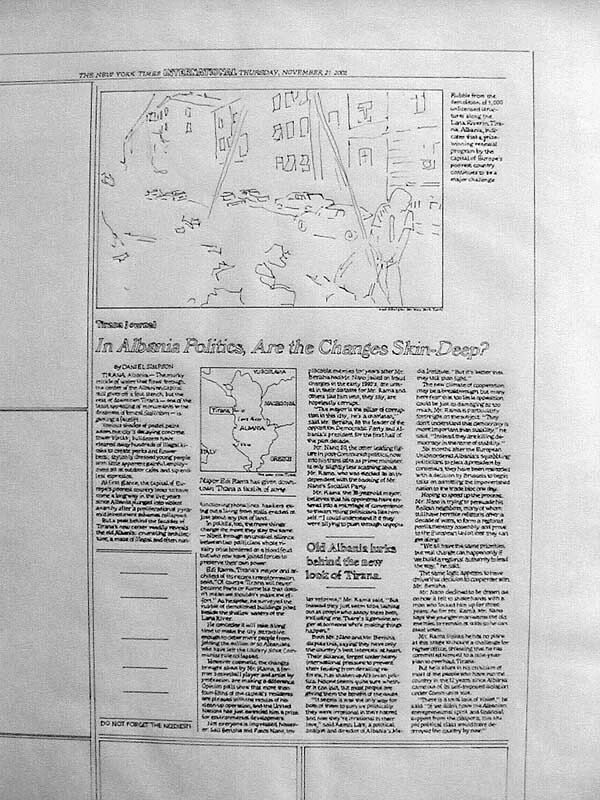 In Poor Albania, Mercedes Rules Road, by Daniel Simpson, The New York Times, 10 November 2002. 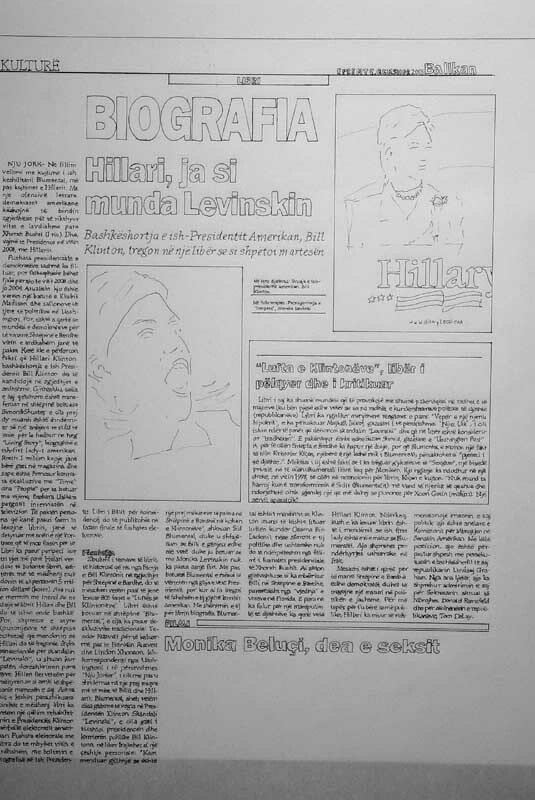 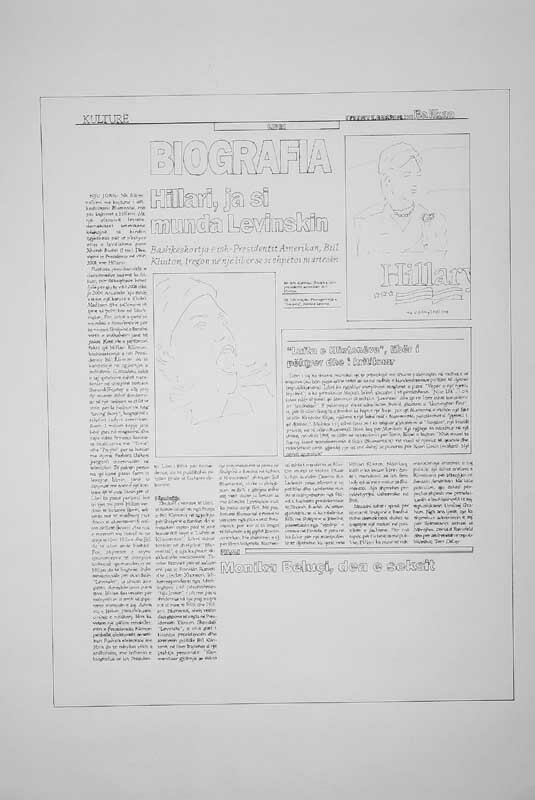 This is how I defeated Levinsky: the wife of the American Ex-president Bill Clinton narrates in a book how she saved her marriage; The war of the Clinton's, a very much liked and criticized book, Balkan, 6 June 2003. 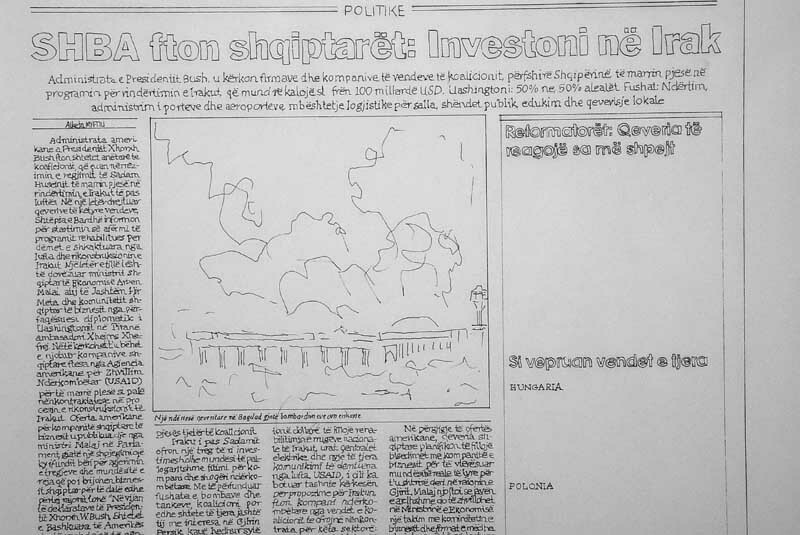 USA invites Albanians: Invest in Iraq, Korrieri, 18 April 2003. 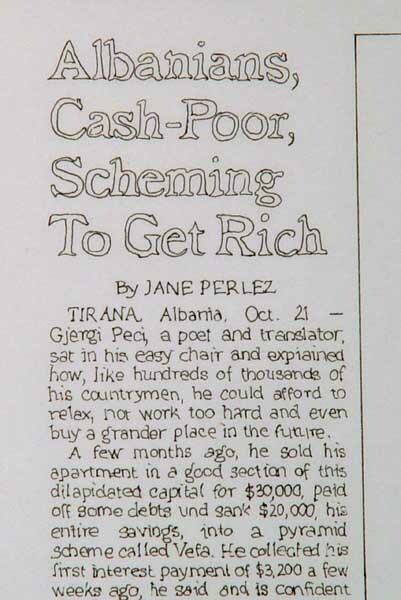 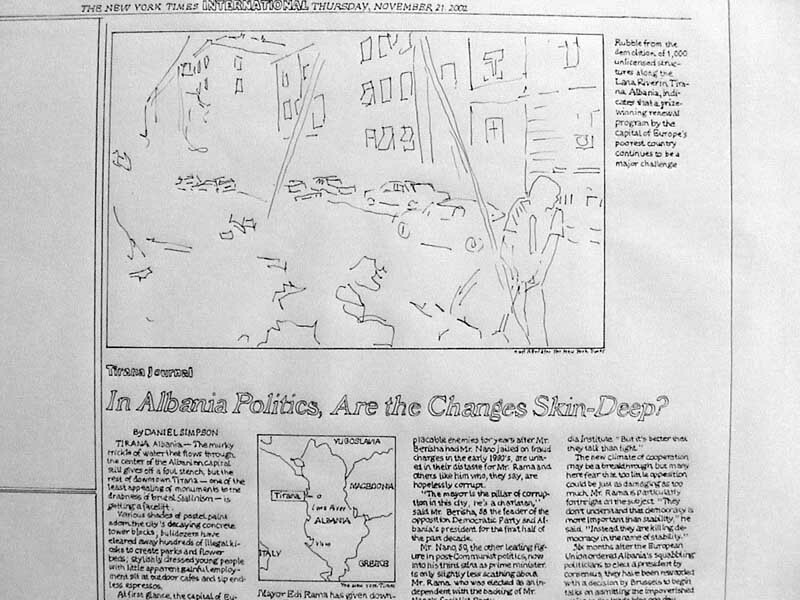 Tirana Journal; In Albania Politics, Are the Changes Skin-Deep? 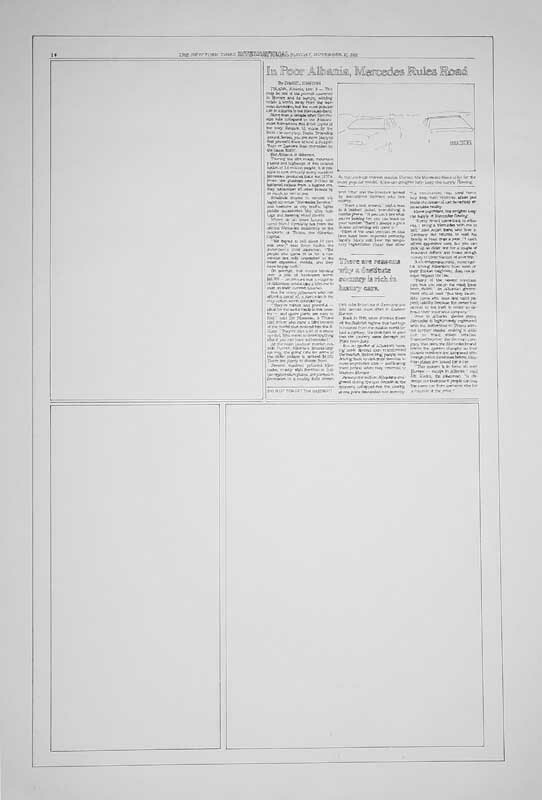 by Daniel Simpson, The New York Times, 21 November 2002.